12.01.17 Sydney Olympic Park, Sydney, Australia. 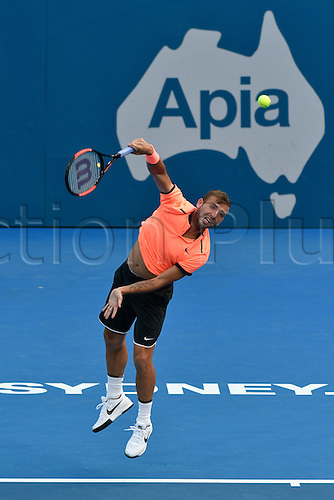 Daniel Evans (GBR) seres against Dominic Thiem (AUT) during their quarter final match on day 5 at the Apia International Sydney. Evans won 3-6,6-4,6-1.